Home / Uncategorized / Summer you say? What’s so great about summer? Butterflies are flitting and floating. Everything is so alive. Insects buzz around the plants, so green and happy from all of the rain we’ve been so generously receiving. Do you know what else we will be buzzing? All of the children on summer break , who are looking to go on really fun and interesting adventures here at the ENC. 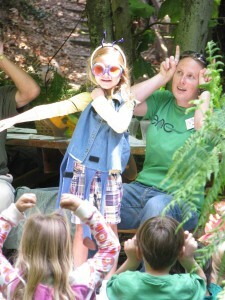 The children will make new friends, and learn about something new each week, like the wetlands, or become mad scientists involved in scientific experiences! Do your children love animals? Well this is the place for them because they will get the opportunity to touch snakes, see frogs, salamanders and many other animals we have here at the ENC. 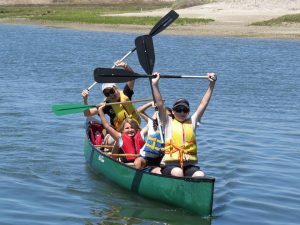 During this summer experience they will also learn how to be environmentally responsible, and teach you and thing or two about some really cool animals in their Southern California habitats. Older kids will learn how scientists measure their field data, while younger kids will be learning the meanings of words that end with -ology. Binoculars and magnifying glasses aren’t the only cool tools we will be using this summer—their minds and imaginations will be the most important tools! Pack your children with sunscreen and water to prepare them for really fun adventures in the beautiful weather. A few other items we recommend you send your child with is a reusable water bottle, a hat, and appropriate shoes and clothes. Your children will be making some of their best memories of childhood with us. We are ready! We hope you are too!